Edit: This would be the post processor. I’m helping some people out with their Shopbot and I wanted to be able to do the tool paths for it as well. Do we have a Shopbot? 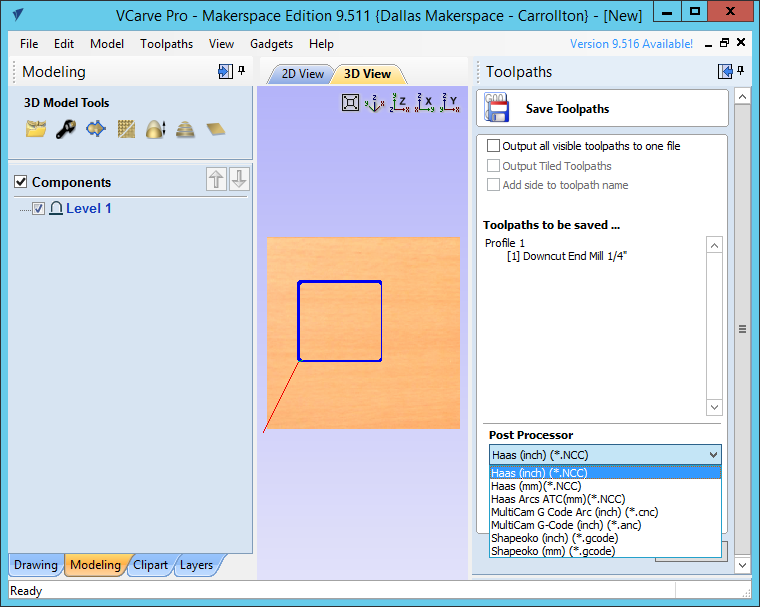 Which shopbot tool paths? I wasn’t the most advanced user but I never noticed a difference between vcarve with a shopbot and the version on the jump server. I’m not sure if installing the Makerspace version restricts us from a licensing standpoint to only install post processors for machines we own or if this was limited to keep people from screwing up and picking the wrong one. Yes, it would be the post processor. I believe the number of post processors is limited to keep people from using the wrong one. VCarve has easily over 100 post processors.